Builders and remodelers looking for an easy solution for frame options on privacy windows can rely on the Breeze-Lite vinyl window frame. With a three-inch depth, the frame can be used for both new construction and replacement window applications for operable acrylic block or decorative glass windows. "By using these frames on operable windows we're able to give our casements, twin casements and awning windows a sleeker, more refined look," says Murphy. 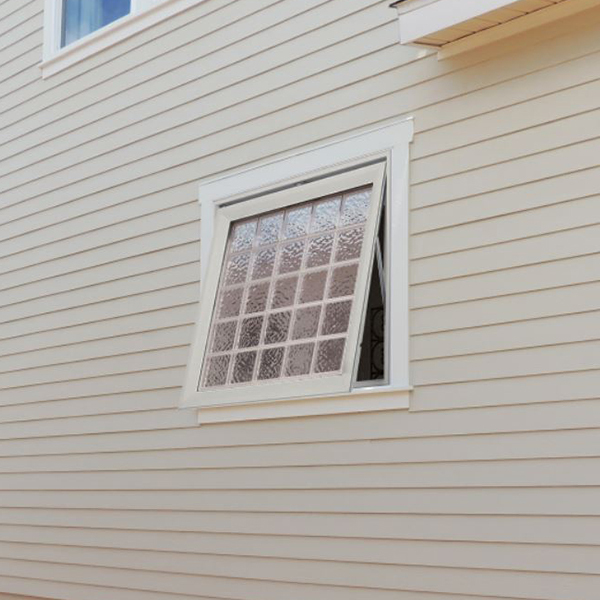 "Because we can use these on both operable acrylic block and decorative glass windows, we're able to offer this upgraded look on a wide variety of our stylish privacy windows."